Adversity: state of serious or continued difficulty or misfortune. For Christine Baker, adversity has become a way of life. When a mysterious stranger steps into a void left by her father’s death she reluctantly accepts his friendship while refusing his offer to protect. But it’s hard to resist a good-looking guardian angel who always seems to be there when she needs him. 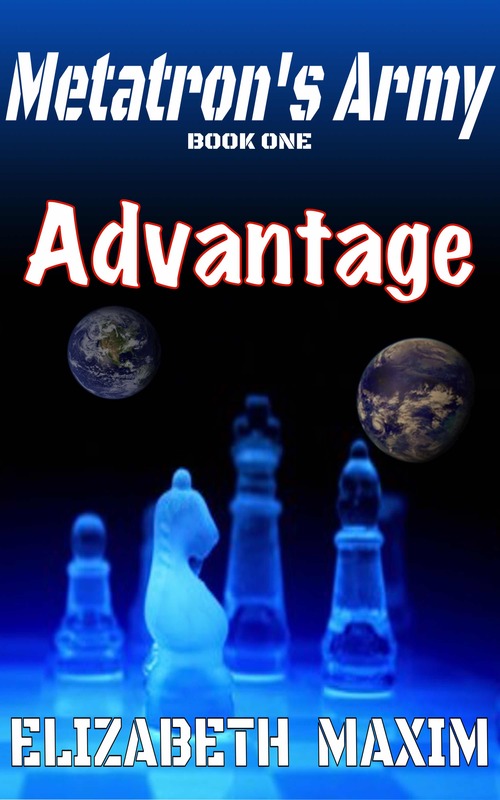 Advantage: A better position with the chance of winning the game. Factors: Space and time. Known as the Protector, Light Being Xavier Casteel is tasked with keeping Christine Baker safe until she can return to her home world and take her place in the fight against evil. He counted on her not knowing she was born in another universe. He didn’t count on falling in love with the feisty, spirited woman destined to save his race. Especially since where he comes from, emotions are forbidden.